Bodilight News & Special Offers Baby, it’s cold outside. Here at Bodilight we are getting into the festive mood and like to offer our lovely clients the best kind of present, the present of beautiful skin, which is where our amazing Environ Christmas boxes come into light. They are jam packed of amazing products that your skin will absolutely love and so will your loved ones. As you unwrap the beautifully presented box, you will be welcomed by full sized bottles of Environs Cleansing Lotion, Moisturising Toner, AVST moisturiser, C-Boost & the award winning Vita-Peptide Eye Gel (or you may know it as the C-Quence Eye Gel) , there is also 3 mini surprises in the box, a mini revival masque, hydrating oil capsules & an Avance serum. Still not convinced? Let me give you a little information about some of these products. 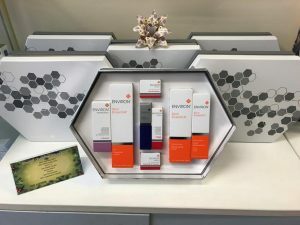 The Avance Serum – it’s a new revolution from Environ; it intelligently combines a scienti­fic formulation of three “super-smart” peptides that will ultimately help keep skin looking younger for longer. Combine it with your AVST moisturiser and your skin will thank you! The Revival Mask; it does what it says on the tin, it revives your skin! It has been described as a facelift in a jar because it has incredible ingredients that help to lift and firm and dramatically tightens your skin, but that’s not all it can do, it can also help to lighten pigmentation and restores the skins radiant quality. Hydrating Oil Capsules – these little capsules provide a burst of hydration your skin craves, especially in this cold weather (and in the warmer weather as well). They help to soften your skin and give your skin the moisture it needs (without leaving your skin looking shiny or feeling heavy) leaving your skin looking revitalised and radiant. You can use these capsules on their own by breaking them open and applying the content to your face and neck, or you can add the content to your AVST moisturiser for an added boost of hydration. Vita-Peptide Eye Gel – this has been our best seller! This eye gel contains all the essential vitamins, antioxidants and peptides for the use on the delicate and sensitive eye area. It helps to hydrate the skin and plumps the skin which helps to reduce the appearance of those fine lines around the eye to keep the skin looing younger. This is the miracle eye gel that everyone has been searching for. C-Boost – this is a light, non-greasy clarifying cream that has been specially developed with a unique form of vitamin C to help improve the appearance of dull, uneven skin tone and sun-damaged skin. You must prepare your skin on Vitamin A (AVST moisturiser) for 3-4 weeks. This cream will help maintain healthy, youthful skin, stimulates collagen, hydrates & heals and help to lighten and brighten your skin. 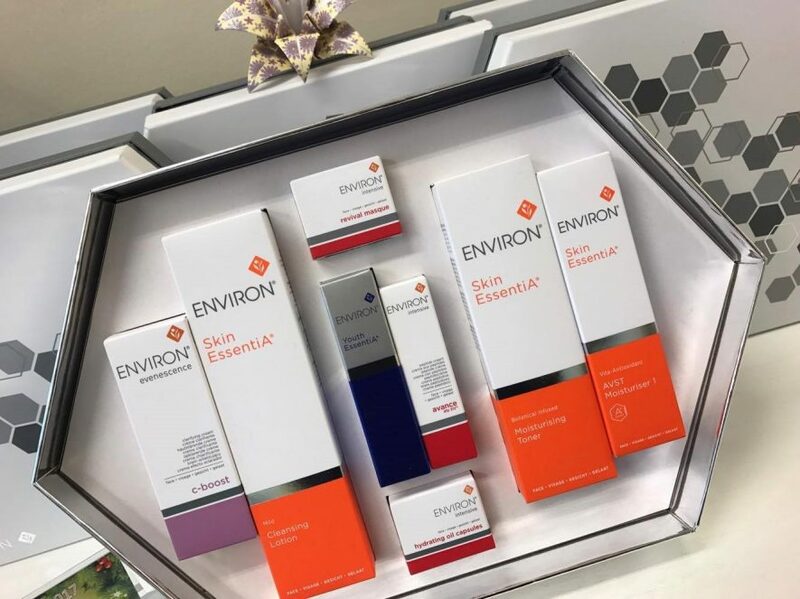 Pop in to see us soon and reserve your Environ Christmas Box, they won’t be on the shelves for much longer!